No antipasto course is complete without a Caprese Salad! 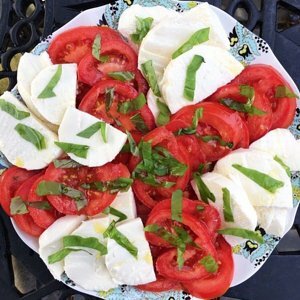 No antipasto course is complete without a Caprese Salad! This summer’s tomatoes were particularly fresh and juicy for December (and I’m hoping for more of the same this year)! Season with olive oil and salt to taste.